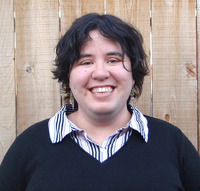 Jenniffer Wardell is a fantasy romance author and general fairy godmother-at-large. She's always on the lookout for witty dialogue and a well-earned happily-ever after. I absolutely, positively adored this novel. The spin on the old fashion Cinderella tale plus the spin on Fairy Godmothers being a company that pretty much mimics Cupid - Brilliant! I laughed so many times out loud (probably a few snort laughs in there because it was THAT funny). A few times my husband and son just looked over at me like I had lost my mind. Ha. The characters in Fairy Godmothers, Inc draw you in because of their charm & witty since of humor and personalities. Rellie (can I say, brilliant nick name for Cinderella btw) is the opposite of what you've grown up picturing as poor, mistreated Cinderella. She's a total ditz. I loved that! She does have the wicked step family, but someone high up in command at Fairy Godmother's Inc has paid for a contract to have a Fairy Godmother set up Rellie with a Prince. Enter Rupert *giggle* - he's totally and completely the perfect match for Rellie. However, he goes MIA a few times (seems he needs to find "enlightenment" and learn how to understand big words *snort laugh*). He's a total momma's boy even though they all run and hide from their Queen. The King? Oh, he's hidden away somewhere trying to make use of the rooms his wifey never visits - he's crossing his fingers none of the staff tattle on where he's hiding. Poor, poor Kate. 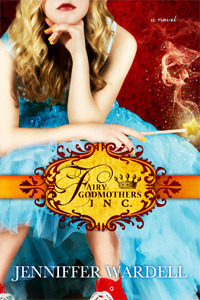 Kate is the Fairy Godmother assigned to Rellie's contract. While sporting the Fairy Godmother "uniform" (see the cover image - PERFECT representation of Kate & her "uniform"), she has to try and match up Rellie & Rupert. What Kate isn't expecting: to fall for Jon (aka Prince Charming) while working this case. Can I just say, my favorite character in the entire novel was Lawton. Anytime he entered a scene, I immediately perked up because he is entirely too entertaining for his own good. His witty personality made me adore his smart-mouth remarks & biting responses. I absolutely loved how he could command the entire scene, looking like a stiff character, but then make you bust out laughing as soon as he throws out one of his retorts or comebacks. At first I was nervous about him - he was so severe that he seemed like a bad man in disguise, but then you come to learn that it's just the way he is. I loved how Jennifer throws in bits of pieces of the typical fairy tale romance - a fancy ballgown here, a glass slipper there, a Fairy Godmother equipped with wings & a wand... It's such a great mix that equals such quirky fun! This was a novel that I couldn't wait to pick up every night when I got home just because the entertainment factor is so incredibly high! I adored every single aspect of Fairy Godmothers, Inc. It was truly a fun, easy to read tale of a little mischief, a tad bit of sparkles & rabbit fur, a truckload of quirkiness, enough laugh out loud moments to keep you glued to the pages, a nail-biting shoe fitting complete with a little magic wand waving, and a little romantic swooning that was like the cherry on the top. Cover: 5 stars! It's the perfect cover for this novel! Climax: 5 Stars - talk about a shoe fitting to remember! Use the Rafflecopter below to enter for your chance to win a $25 Amazon Giftcard!! The giveaway is live April 22nd to May 4th. Good luck everyone!!! This sounds like a lovely read! I adore wit and sarcasm and I love the premise of this story. Great review! Feed Your Reader Kindle Fire/Giftcard Giveaway!